Music and television go together like music and weddings, or music and long road trips, or music and…just about anything. Between TV opening themes, songs playing behind dramatic climaxes and the topic I’m covering today, TV has wowed me with music too many times to count. One unique thing I’ve really come to appreciate from my thousands of hours of TV watching over 40 years is when a TV show doesn’t simply rely on an already popular song to help advance a plotline, but they actually write from scratch and perform it as part of the episodes’ plot. This organic approach makes TV more real to me. Today I want to discuss some of my favorites. 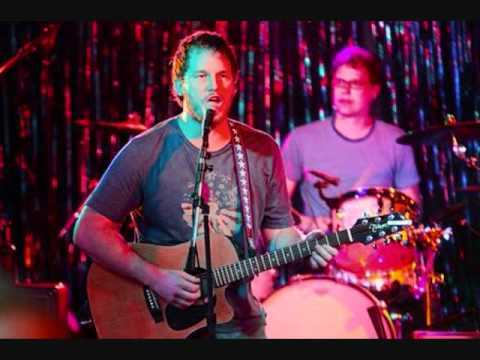 “Bye-Bye, Lil’ Sebastian (5,000 Candles in the Wind)” is probably the better song and the standard for all other songs in this odd category, but there is something special about this Andy Dwyer original. First, it’s quintessential Andy. 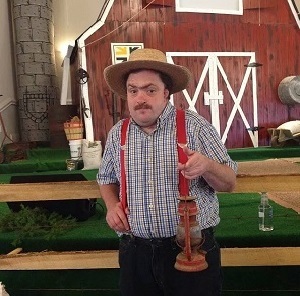 Pure, unadulterated, lovable idiot Andy. Second, I think the fact it ties into a huge PnR storyline makes it memorable. Additionally, it’s lyrically simple but that is part of the appeal I think. Lastly, it got a huge bump in my mind when April played it for Andy as an apology for not respecting his band. But I can’t lie, a huge reason above all others that I love this song is because its guitar music takes me back to 1991. Back when I cared a lot more about music and riffs than lyrics and content. I could listen to this 90 seconds on repeat many days. 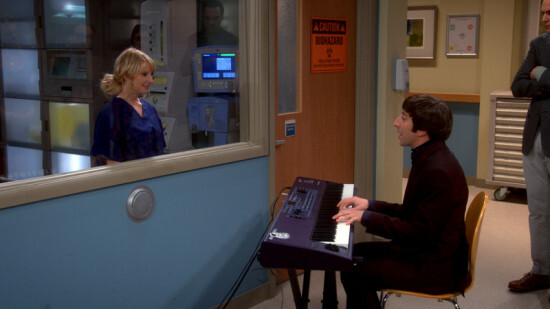 Originally written by the modern comedic musical duo Garfunkel and Oates (both of whom you probably have seen in multiple TV shows or movies, including The Big Bang Theory), Simon Helberg used his real world talent to kill this scene as Howard playing and singing an A+ romantic number to his wife. 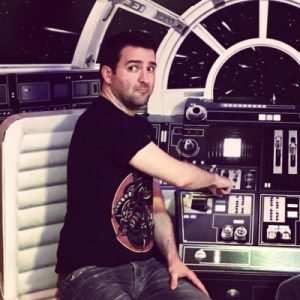 It is perfectly written for the show’s quirky, nerdy-yet-cool personality, summing up the committed relationship between the two scientists by referencing everything from binary code to isotopes to Doctor Who and the TARDIS. And it has a line in Klingon! LOL. It is a song that touches the brain and the heart at the same time, supremely endearing and deeply emotive. BBT will never be my favorite sitcom but this original song is among the best ever on TV to me. 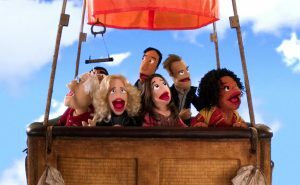 In all of Community’s outrageous episode premises, having a muppet episode did my heart good, having been a huge fan of Kermit, Miss Piggy, et. al growing up, and feeling a deep kinship to Gonzo especially. Even to adulthood. But what really brought this episode home was that it was, like the Jim Henson Muppet movies, a musical. And the magnum opus of the cast was a jolly, joyful jaunt of a tune called “That’s An Adventure,” that I affectionately refer to as “The Hot Air Balloon Song”. My wife can testify that no song originally written for a TV has gotten to me like this one. The gang feels like they’re in a rut and they need something original to do together to shake up the doldrums. They need an expedition. They go through some ideas that they disagree about as the song begins before Annie satisfies all of their criteria by suggesting a hot air balloon ride. “Yes! That’s an adventure!” And so one of the most lyrically hilarious, musically magical songs I’ve ever heard takes off. I’ve actually listened to this song many times while working out and I doubt I have gone more than a month of time without listening to it since I first heard it in August 2017. That’s how much I love this song. It never, ever fails to put me in a good mood. Unlike the rest of the songs on this list, this one was from a drama and not a comedy. Yet the song is amusing and compliments the show extremely well. Loker had to take care of some visiting kids during a crisis at the Lightman Group HQ and he entertains them with a song that goes along with what his company is about yet is suitable for children: white lies. It’s quite charming and always brings a smile to my face. I confess I liked this show and was disappointed that FOX cancelled it after three seasons and that it never got picked up elsewhere. 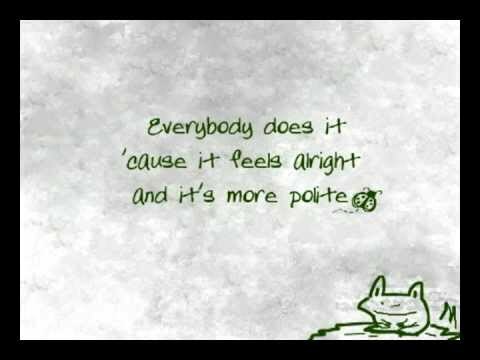 This simple song is just a small piece of evidence of its originality that I enjoyed. The Muppets in their various variations dealt frequently with Gonzo’s uniqueness. The movie Muppets from Space chronicles Gonzo trying to get in touch with his kind, who are from another planet. A book called “What’s a Gonzo?” deals with Gonzo’s confusion over not being a regular animal like Kermit or Piggy and trying to figure out what he is, and ends with him realizing ‘You’re a Gonzo” and “Isn’t that enough?”. They always dealt with this in a clever and healthy way. 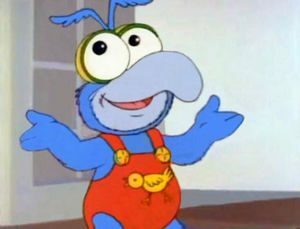 This Muppet Babies episode is no different. They did plenty of musical type episodes and characters would break into song frequently. Here, Gonzo bemoans the fact he’s odd with a contemplative song that starts melancholy but ends upbeat and, well, weird. It’s a perfect way for Gonzo to express himself, starting off with self-doubt and ending with self-realization. If you think I’m reaching too deep with that, you’re probably not a Gonzo. So there is my list. Do you have any you like? Please share below! We write reviews often. We’ve also had a semi-consistent book review/recommendation series. (We really need to update that…) This will be a little different. Instead of focusing on one thing: movies, books, music, etc… we are going to try to paint a broad view of things we love that we think you should check out. These blurbs are going to be fast and furious – all around 200 words and all about things we think are pretty great. Consider them our New Year’s gift to you. This is not a popular show but my wife and I watched it this year on Amazon Prime Video. I was blown away. It’s not like any other TV show I’ve watched. It defies any genre box. It may be a comedy at its heart but it has extremely well-executed action scenes and its most important story arc is romance. In a world full of Ross and Rachels it dared to give us Bartwoski and Walker. This show reached deep and pulled wonderful emotion from me often. Levi, Stahovski, Gomez, and Baldwin are unforgettable as the main players and like any TV show worth watching the role players are dynamite, highlighted by Jeffster! and their hijinks and musical concerts (which were basically the same thing). It is also replete with unforgettable guest stars and if you loved the 80s as much as I did, you will probably get giddy with their choices. It can be a tad campy and goofy at times, but that never bothered me. It is exceptional at its strengths and it was fantastic entertainment for five seasons. It’s a shame that so often in America if you claim you like something, people sometimes interpret that to mean you do not like other similar things. I love Chick-Fil-A and think it is blessed by God, but I also eat and thoroughly enjoy KFC and Popeye’s. And to me, the second best chicken place I’ve had in my life is Bojangles, which seems to be less known than these other three. Probably because it is so regional (though its regional fans are pretty passionate from what I can tell). Whether sandwiches, strips, sides, or those glorious biscuits, Bojangles has excellent quality in taste. 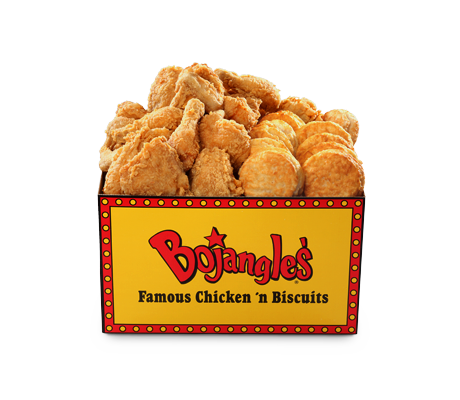 There used to be one in Turbeville, SC and any time I was down there visiting family and someone said, “Let’s just pick up some Bojangles for lunch” I would get quite excited. No place has equaled CFA to me but this place is close. And it deserves a huge fanbase. Anyway, when I was 16 my parents got me this particular quality hardback fact book for Christmas. While I am no longer consumed with fact books and have sold most of them, I still have this one and still read portions of it now and then. This book does not attempt to cover all the important basics of American history. What it does do is to highlight fascinating stories about its history that are not discussed much or at all in history class. My edition was published by Reader’s Digest in 1989. They published a new edition in 2007. I cannot comment on that edition since I have not read it yet. I realize this show is fairly popular but I don’t understand why this show isn’t more popular than it is. My guess is that people were disappointed that Better Call Saul, which serves as a prequel to Breaking Bad, wasn’t a clone of its predecessor regarding its how the story plays out. It is true that the two shows have the same basic outer feel and framework. It is also abundantly clear that the two are part of the same universe (if you are familiar with both, that is). But the individual stories themselves are very different. Better Call Saul is less dark, intense than Breaking Bad. It is also basically an extremely well fleshed out legal story with multiple intriguing plotlines and angles. The show stars Bob Odenkirk who plays Jimmy McGill AKA Saul Goodman but also stars an amazing ensemble cast. Odenkirk and every one of his co-stars bring it every episode. Forgive the hyperbole but most of them deserve every acting award in the history of mankind. 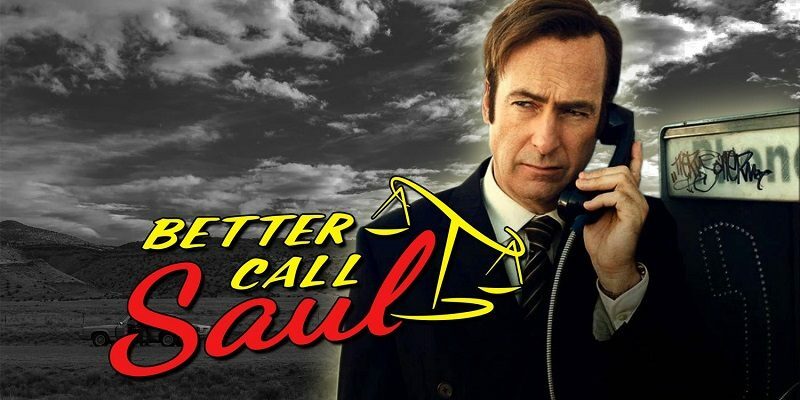 I will probably be destroyed for saying this, but I believe Better Call Saul is better than Break. In fact, it is in the running for my favorite show of all time. It had an extremely good first season and has been greater every season (It recently finished its fourth). One of the most off-the-radar board games right now sounds like something right out of the future. DropMix (created by Harmonix studios…you know, the same team that created Rock Band) has players placing cards onto an electronic, Bluetooth-powered board with six spaces for cards. Each card in the deck has a chip inside of it, and each card space is equipped with a wireless chip reader. When you place a card on the board, the game (which runs on a tablet or phone that sits at the front of the board) reads it, syncs it to BPM and the set key, and then incorporates the loop into the mix. There are cards that have drum loops, vocal tracks, instrument tracks, or even custom-designed effects. In the past few years, my wife and I have fallen in love with Indian food. Unfortunately, it’s cost-prohibitive to get it as often as we would like. Enter: Aldi and their amazing sauce in a jar. I was skeptical it would taste anywhere close to restaurant quality, but I was wrong. We keep things simple with some seasoned chicken we sauté in olive oil and some steamed veggies added to the sauce to make it a bit more “healthy.” We serve it over white Basmati rice and we are good to go. 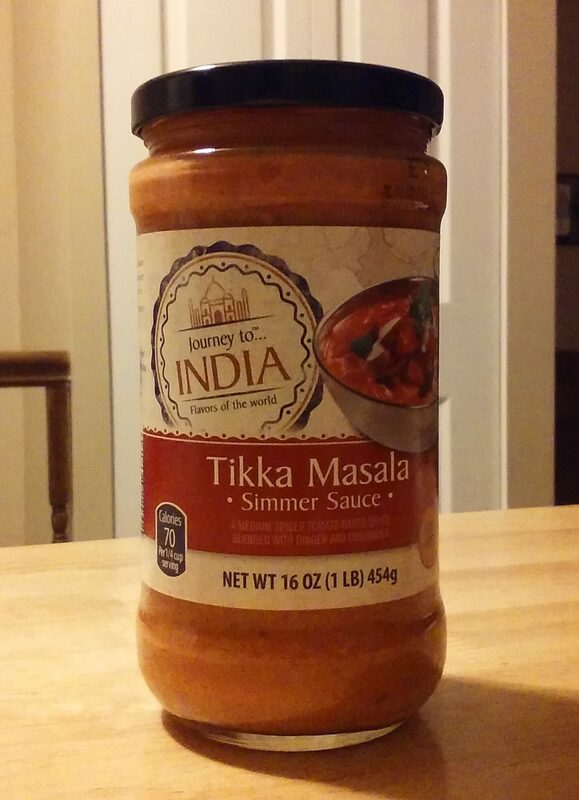 It’s moderately spicy so if that’s not your thing, you shouldn’t be eating Indian food anyway. Maybe you’ve seen him on The Tonight Show Starring Jimmy Fallon. Maybe you’ve seen his special on Netflix. Perhaps you’ve just seen clips on YouTube. Or maybe, sadly, you’ve never heard of Nate Bargatze. Well, be sad no more! 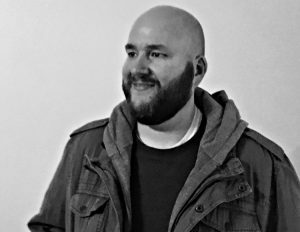 If you like your comedy clean (yet not lame), dry, and just a little bit odd, then Nate is the man for the job. 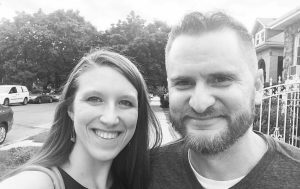 He holds a special place in my heart because he graduated from the school where my wife teaches and my children attend (Donelson Christian Academy). If Nate came from DCA, then there is hope for my family as well. Thousands of Christmas songs and hymns have been written these past 2000 years. While many songs discuss sights of Santa and Rudolph, there have been others written to express the significance of God coming to earth and being born into a sinful world. These songs hold theological richness and can edify a group of believers during the Christmas season or any time of year. Phillips Brooks penned the words to “O Little Town of Bethlehem” in 1868. The words came to him one night as he rode from Jerusalem to Bethlehem by horseback to deliver a Christmas Eve message. Many people are very familiar with the first two verses of the song. However, the last two verses are exceptional and should not be forgotten. The third verse in this classic hymn is particularly noteworthy. It speaks of “the wondrous gift” that was given. The thing about a gift is that it is not something we earn; a gift is freely bestowed. This “wondrous gift” is Jesus, who God the Father gave as a living sacrifice for humanity (John 3:16). He came to be our living sacrifice and to give man spiritual knowledge (John 10). In this fallen world we all must humbly accept our fallenness and our need for divine help. Only then can we rightly choose His hand of salvation (James 1:21). When our “meek souls” receive Him, “Christ enters in.” He has called us to eternal salvation through Himself. Will we listen? Emily Elliot wrote “Thou Didst Leave Thy Throne” in 1864. The primary point of this song is the tremendous humility God expressed by lowering Himself for our benefit. He left His heavenly throne to come as a man to save us. Echoing Philippians 2:7, the first two verses convey the awesome magnitude of His humiliation in becoming a lowly man. Jesus was born of a “lowly birth” and came in “great humility.” He did this for us—people who don’t deserve it. The third verse alludes to Matthew 8:20, where Jesus stated that all earthly creatures had a place to rest—all except for Himself. He was saying His life was a difficult one and those who followed Him could expect the same. The first four verses end with a refrain that declares we can now freely choose to make room for Jesus in our hearts forever. With our entire being, we fully trust Him as our eternal Savior (Romans 10:9). The fifth verse concludes with a declaration of victory, rejoicing that God has made room for us in His heavenly home! “O Come, O Come Emmanuel” was originally written in Latin, and many believe it dates back to the twelfth century. In 1851, John Mason Neale translated it into English. The English translation of the song contains several variations, and some versions include up to eight different verses. It is easy to notice all the names and descriptions of Jesus presented in the song: Emmanuel (Immanuel), Dayspring, Wisdom from on High, Desire of Nations. These are all tremendous names and titles that describe the Messiah. Each verse highlights one of them. What is traditionally viewed as the first verse highlights the name Emmanuel, which means “God with us.” In Scripture, the name first occurs in Isaiah 7:14. This passage is quoted in Matthew 1:22 in specific reference to the infant Jesus who was God. Another verse highlights the name Dayspring, which indicates how the Light of Heaven has delivered us from spiritual darkness. This was a name proclaimed by Zechariah in Luke 1:78 under the guidance of the Holy Spirit. This song also gives Jesus the title Wisdom from on High. This may be a reference to Isaiah 11:2. The entire book of Isaiah is full of prophecies of the coming Savior. Only through this wisdom from Heaven (Jesus) may we may exit our fallen life and enter a new life with God. The writer of this song also described Jesus as the Desire of Nations, a reference to Haggai 2:7. This is another prophecy of Jesus in which God foretold that great glory would one day once again fill the temple. Because He has finally come in His glory, we are freed from living lives of isolation and discord. There are even amazing additional/optional verses of the song that refer to names like “Lord of might,” “Rod of Jesse’s stem,” and “Key of David.”. As this incredible song mentions, Jesus Christ has opened wide our heavenly home and therefore we can rejoice. Bring them in victory through the grave. The French poet Placide Cappeau wrote the words to “O Holy Night” in 1847. In 1855 John Sullivan Dwight, a Unitarian minister, translated it into English. It is considered one of the greatest and most popular Christmas songs of all time, and for good reason. Its theological greatness cannot be denied. The first verse describes our plight. Original sin introduced mankind to death (1 Corinthians 15:21-23). All of humanity inwardly longed for a deliverer who would set us free from this plight. So long did humanity toil under this that our individual souls got used to being away from God and we “lay in sin and error pining.” But then Jesus came with a message of hope and the “weary world” rejoiced. He did all of His saving work to retrieve each individual person (Luke 15:1-7). The second verse makes us firsthand witnesses of the holy child. We are one with the wise men who, like us, followed a light by faith to find Jesus. Jesus would not be a mere prophet of God or just a good man. The baby in the manger was the “King of Kings.” He was and is the Son of God who is one with God the Father (John 5:16-18). The third verse exalts in the implications of Jesus’ earthly ministry leading up to His death. He taught mankind “to love one another” (cf. John 13:34-35) and broke the chains of oppression. Like the first two verses, the third verses finalize the song with an exuberant call to praise God the Son for His wonderful salvific work. This time the call is for everyone to unite in a magnificent song of praise lauding the holy birth. It is rare to find a song whose melody actually works with and bolsters its message quite this well. In my opinion, “O Holy Night” does that better than any other song under Heaven. The last refrain of each stanza is full of genuine passion, exalting in the beauty that is the incarnation of Jesus. Charles Wesley wrote the words to “Hark! The Herald Angels Sing” in 1739. This song is absolutely loaded to the brim with incredible theological meat! The first verse reveals why the baby in the manger is so special. This is not just any king who has been born. Through this baby “God and sinners [are] reconciled” after a long separation (cf. 2 Corinthians 5:18). This makes very valid the call for “all ye nations rise” and joyfully rejoice! The second verse explains how this “offspring of a virgin’s womb” was qualified to do any divine reconciling. He was able to do this because He was the “Christ,” which means, “anointed.” In other words, He was the Messiah and king of mankind (Luke 23:2-3). But He was more than a mere human king. He was God in human form—“veiled in flesh” and the “incarnate Deity.” Jesus lowered Himself by taking on the complete form of a man (Philippians 2:5-7). Our God could have remained in His comfortable position in Heaven but He was “pleased as man with man to dwell.” He was literally our Emmanuel—our God with us. As a result of the work of Christ, the third verse calls us to praise Him for His infinitely gracious act. He is our “Prince of Peace” and our “Sun of Righteousness.” God’s Son came to give all men the truth of God’s redeeming and life-giving grace. How did He do this? By being born. He did this so we could experience a second birth and be born again into a new life in Him, living forever in His kingdom. The fourth verse in some of today’s hymnals is a fusion of the original fourth and fifth verses. Since the fused version is the one many are most familiar with, that is what I am including here. It tells us that as a man, Jesus was physically born into a very humble home. Now that He has died for all mankind, we should invite Him to reside within us by confessing full belief in Him (Romans 10:9). Its last few lines hearken both to Genesis 3 and 1 Corinthians. In Genesis 3 we find the world-changing act of original sin. In this same chapter, God placed a distinct curse on each of the two human wrongdoers and all of their descendants. He also cursed the snake (Satan). His curse to the snake included a prophecy of Jesus’ final victory over Satan (Genesis 3:15). This is a prophecy of the Son of God who would one day come to earth to die. In so doing He would finally “bruise . . . the serpent’s head.” Wesley lauded the beauty of this story. Jesus’ work of atonement successfully displayed His saving power. It is in 1 Corinthians 15 that the first man and Jesus are famously referred to as the first and second Adam. Jesus, the second Adam from above, sacrificed Himself for all mankind, reuniting us with God. That’s all well and good, but I still think they sang. For one thing, he/they might have spoken and then sung those or other words. Also, Job 38:7 tells us the “sons of God sang for joy” at creation, and I’m thinking those were angels, not humans since presumably no humans were present at creation. No matter. Much of Christianity down through the centuries has inseparably linked the celebration of the nativity with singing. From the 5th century “Of the Father’s Love Begotten,” a piece so hauntingly beautiful that pastor Rob Morgan considers it one of his favorites, to Isaac Watts and Charles Wesley and their powerful all-time hymns “Joy to the World” and “Hark the Herald Angels Sing,” to “Mary, Did You Know,” we all have our favorites, and I haven’t even scratched the surface. 2. “Come Thou Long Expected Jesus.” Written by Charles Wesley. Wesley is one of my all-time favorite songwriters, and this hymn has become a favorite Christmas song of mine. It’s the kind of song the ancients would have sung, had they known their Messiah’s name. We do know and celebrate accordingly. 3. The country gospel classic “O Beautiful Star of Bethlehem.” We sang it at our church a couple of weeks ago and the excitement was palpable, as “amens” were heard at the conclusion. Watching the Gaither video years ago as Ben Spear chokes with emotion as he sings the line “for Jesus is now that star divine, brighter and brighter He will shine,” touches me, as does the whole song. Just for good measure, I’m going to throw in a few more. They aren’t really Christmas songs but are so fitting for the season. “I Call Him Lord,” by Dottie Rambo, reminds us “but the angel called Him Jesus, born of a virgin, Mary called Him Jesus, but I Call Him Lord. That lyric enables me to celebrate just a little more worshipfully this Christmas. If this new program is well received, WayLOVE hopes to roll out their Doctoral Program* in the fall of 2019. *Neither program is accredited in any way, shape, or form.